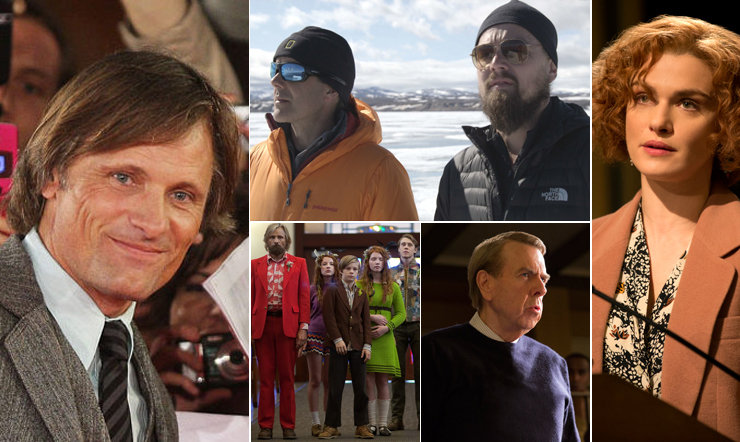 The Rome Film Fest welcomes Viggo Mortensen. Today, Monday, October 17th at 6 p.m. in the Sala Petrassi, the American actor takes the stage to share tidbits about his thirty-year-long career with the audience, showing clips from the films that have made him world-famous. At 10 p.m. in the Sala Sinopoli, Mortensen – who rose to fame playing Aragorn in the Lord of the Rings trilogy, and nabbed Oscar® and Golden Globe nods for his role in Eastern Promises by David Cronenberg – will introduce his latest film, Captain Fantastic (screening in the Rome Film Fest’s Official Selection, in a collaboration with Alice nella città). This second feature by Matt Ross, who had acting roles himself in films by directors of the caliber of Martin Scorsese, Terry Gilliam and John Woo, is a genre-bending movie that alternates amusing sequences and emotional epiphanies, with no small help from Mortensen’s astonishing performance. The New York actor plays Ben, a father of six who lives with his wife and children in seclusion, in the forests of North America, until a tragedy forces him to come to terms with the outside world and a very different value system. Earlier in the same theatre, at 5 p.m., there will be a screening of Before the Flood by Fisher Stevens, a documentary with a star voice-over by Leonardo DiCaprio (who also produced the film). DiCaprio talks about climate change with leading figures on the world scene, meeting up to discuss planet Earth’s ongoing emergency with Barack Obama, Elon Musk and Pope Francis, among others. At 10:30 p.m., the same theatre hosts a screening of Una by Benedict Andrews, a film that delves deep into a damaged relationship and scrutinizes the weave of desire, abuse, guilt and need. The cast features Rooney Mara, Oscar® nominee for The Girl with the Dragon Tatoo and Carol, and Ben Mendelsohn (Animal Kingdom, The Dark Knight Rises and Killing Them Softly). A screening of 60 – Ieri oggi domani by Giorgio Treves, a look at the sixty-year-long history of the David di Donatello Awards, will be held at the Teatro Studio Gianni Borgna (3 p.m.) in a tribute to the late Italian film critic Gian Luigi Rondi, president of the Fondazione Cinema per Roma from 2008 to 2012. At 5:30 p.m., at the Auditorium’s NoteBook Bookshop, a presentation of Rondi’s posthumous book Incontri, published by Edizioni Sabinae, will feature speakers Piera Detassis, Stefano Rulli, Joel Rondi, Gianni Letta, Caterina D’Amico, Enzo Decaro, Simone Casavecchia, Serena Andreotti, and Giuseppe Di Leo. At 4 p.m. in the Studio 3, Swiss artist and director Matthias Brunner steps up to the stage for a talk with film critic Vieri Razzini and Andrea Viliani, director of the MADRE Museum and a well-known cinephile. Brunner created the installation now on display in Studio 2, which the production company In Between Art Film, created by Beatrice Bulgari, is presenting in a collaboration with the Magazzino Gallery and the Kunsthaus in Zurich. The images in Brunner’s installation have been taken from thirty-six films made in the 1950s and 60s; never before or after the era of the French New Wave, in fact, have the bonds between cinema and literature been as passionate and intense. 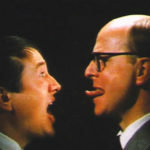 At 7:30 p.m., the MAXXI Museum hosts a screening of The World of Gilbert & George, written and directed by and starring the duo Gilbert & George. It is the only feature film by the two artists and was made in the age of Arte Povera and Conceptualism. Thought lost, then rediscovered and restored by the Cineteca Nazionale in a collaboration with Milestone Film & Video, The World of Gilbert & George is a seminal work that anticipated the explosion of the Young British Artists by a decade, as well as the transformation of London into the capital of contemporary visual culture. At 9:30 p.m., the next MAXXI screening, for which the director will be on hand, is Giovanna Gagliardo’s latest film Le Romane – Storie di donne e di quartieri, a documentary with a high-voltage female cast featuring Lina Sastri, Luisa De Sanctis, Amanda Thursfield, Lia Calizza, Alessandra Di Castro, Olga Melasecchi, Ruth Dureghello, and Caterina D’Amico. The Casa del Cinema hosts the Fest’s The Films of Our Lives section and the American Politics retrospective. Monday’s screenings are She Wore a Yellow Ribbon by John Ford (at 6:30 p.m.) and Meet John Doe by Frank Capra (at 9 p.m.). “Cinema without Borders” is the event jointly organized by the Rome Film Fest, the MiBACT / MigrArti Project, the Di Donato Primary School and its Parents Association, and the Apollo 11 Association. Starting today, Monday, October 17th, and every night through Saturday the 22nd, at 9 p.m. the Di Donato Primary School near Piazza Vittorio (Via Nino Bixio 83) opens its doors to the local neighbourhood, turning its gym into a 200-seat movie theatre where six films will be shown, all of them, with their different styles and sensibilities, devoted to the condition of refugees and immigrants, the dreams and the hardships of those who leave their own countries, and the challenge of achieving integration in a new environment. Each film will be preceded by a winning short film from the MigrArti Project promoted by MiBACT. This evening, at 9 p.m., Agostino Ferrente will present his film The Orchestra of Piazza Vittorio, preceded by Fabio Cavalli’s Naufragio con spettatore. The Auditorium at Rebibbia Prison on Rome’s outskirts brings the Rome Film Fest to the facility, with a 4:30 p.m. screening of Sun Heart Love by Daniele Vicari (Official Selection), while on October 18th, at 8:30 p.m., the Rebibbia Auditorium will be screening Ron Howard’s latest, Inferno. 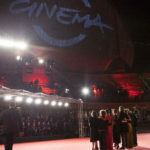 The Mazda MX-5 Drive-in, in the square in front of the Palazzo dei Congressi in Rome’s EUR quarter (a 4,600-sqm area), is where passengers of a lucky sixty cars will be treated to screenings of Film Fest fare on a big outdoor screen that measures 13m by 5.5. Tonight, at 9 p.m., Sun Heart Love by Daniele Vicari, one of the Italian films in the Official Selection, is next up on the Drive-in program. This morning, the Fest’s independent sidebar Alice nella città hosted two screenings: Little Wings by Selma Vilhunen (at 9:30 a.m.) and Hunt for the Wilderpeople (at 11:15 a.m.), both at the Mazda Cinema Hall. The Cinema Admiral is the venue of choice for the screenings of I corti del Kino (at 4:30 p.m.), The Weight of Dreams by Francesco Mattuzzi (at 6:30 p.m.) and Nocturama by Bertrand Bonello at 10:30 p.m.
Repeat screenings of Film Fest fare abound across the city today, starting in the morning, with Storks at 10:30 at the Cinema Admiral, and 11 a.m. in the Sala Sinopoli. At 2 p.m., 7:19 by Jorge Michel Grau will be screened at the MAXXI, while the Mazda Cinema Hall hosts 2Night by Ivan Silvestrini at 2:30 p.m. The afternoon also includes a repeat screening of The Eagle Huntress by Otto Bell at the Farnese Persol (at 4 p.m.) and the documentary Crazy for Football by Volfango De Biasi, with a repeat screening at the Casa del Cinema at 4:30 p.m.
More repeat screenings at 5 p.m.: Tramps by Adam Leon at the Teatro Studio Gianni Borgna, Snowden by Oliver Stone at the Mazda Cinema Hall, and Louise By the Shore by Jean-François Laguionie at the MAXXI. The Farnese Persol will be hosting three repeat screenings: at 6 p.m., 7:19 by Jorge Michel Grau; then at 8 p.m. Tramps by Adam Leon, wrapping up with The Rolling Stones Olé Olé Olé: A Trip Across Latin America by Paul Dugdale, at 10:30 p.m. On the program at the Mazda Cinema Hall, Denial by Mick Jackson at 8 p.m. and Captain Fantastic by Matt Ross at 10:30 p.m. The Cinema Admiral puts on a repeat screening of Sing Street by John Carney at 8 p.m.